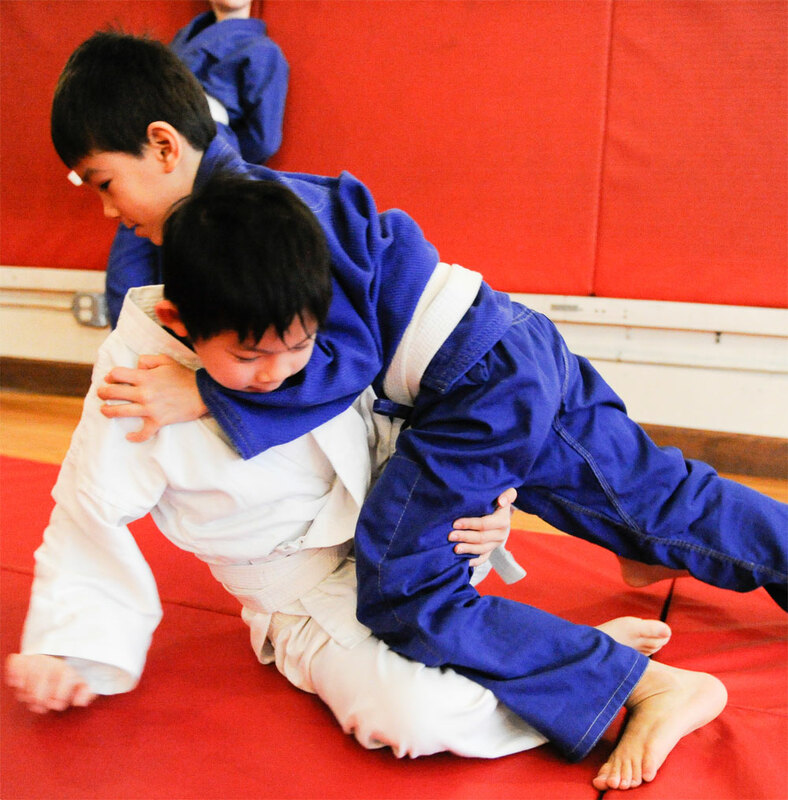 Brazilian Jiu-Jitsu is a martial art based on Japanese Judo. BJJ focuses on grappling once the action has gone to the ground with each practitioner attempting to get to a dominant position and attack with a submission hold. 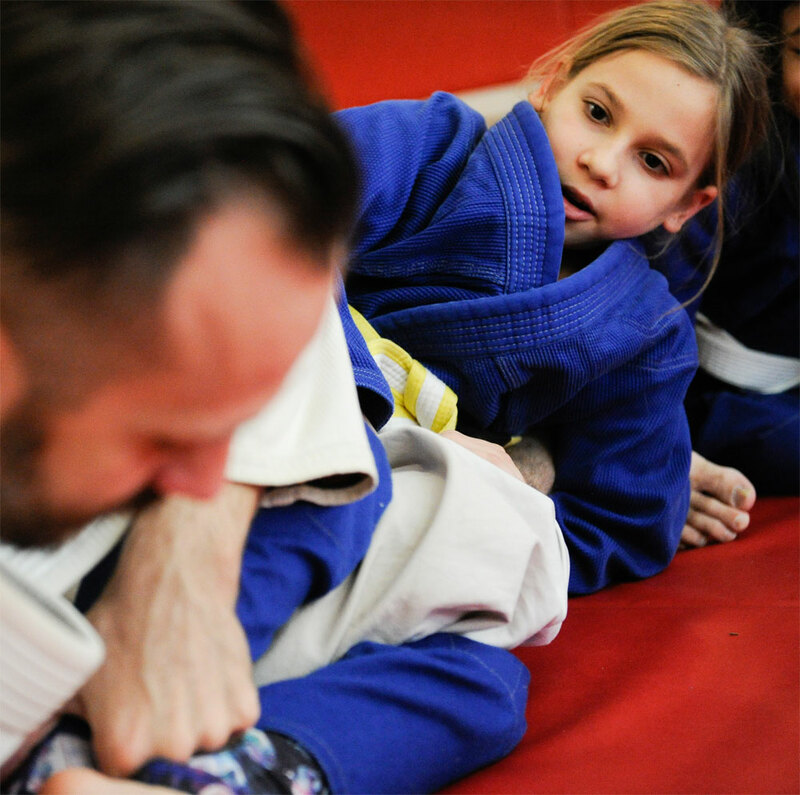 Our approach to kids BJJ is that these students are embarking on a very serious venture. The classes themselves are taught in a fun and entertaining way, but the techniques themselves are very real, very effective, and must be used carefully. Each class begins with a very active warmup. It is followed by standard drills that are done each class to build muscle memory and solid fundamentals. After this, there are unique techniques taught for that class. Every class finishes with the students sparring with each other. Often, the more experienced students are asked to take a leadership role with the newer students so that what would otherwise be an intimidating environment, is welcoming to all children.